Of course everyone has different needs, even at times. However there exist some utilities that need to be available from the moment you setup a computer and on. Without these tools things are getting unnecessarily difficult and/or unsafe. If you respect your time and peace of mind you can not avoid them. 2. Install NumPad Transformer, a powerful free application that will let you get more out of your keyboard’s NumPad, such as having a single key to copy or paste, even move the mouse cursor with NumPad keys. If you don’t have a NumPad, or you want to use it only as a NumPad, install Power Copy, to enjoy at least single copy and paste keys along with a power key to Shutdown, Restart, etc., your PC. 3. Install whatever tool you find most convenient to launch frequently used folders and programs, such as Favorite Launcher. 4. Install a zip archiver to handle archives (zip, rar, etc), setup archives of various applications you are going to need, archives you may receive from friends with photos, etc. 5. Install ClipAngel, ArsClip or a similar tool that will allow you to manage your clipboard – to save what you copy and be able to re-paste it when you need it again. 6. Install Push the Freakin Button or whatever tool you are used to in order to auto click buttons of recurring prompts, notifications, etc. 7. A utility that will give you the option to have the computer screen absolutely clean and free, without even the Windows taskbar occupying any space, is useful especially if you work on a laptop. Taskbar Control lets you hide and show the Windows taskbar at will using a hot key. Taskbar Labels is a relevant small utility, that provides a customizable hot-key to hide / show text beside icons in the taskbar of Windows 7 or later. Combine these with Sleeper or Super Sleep, that will let you activate the power-save mode of your monitor by just pressing a keyboard shortcut. 8. 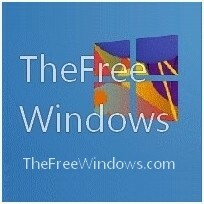 Download Windows Rule to Restart, Log off or Shut Down your PC easily. 9. Download Window Manipulator, a program that will let you drag and resize any window easily, without having to target this little corner or this tiny pixel of a side. 10. If you are a fan of Desktop Gadgets like me, you need the Gadgetarian, a free utility that will re-enable the use of Desktop Gadgets that Microsoft disabled after Windows 7. * Don’t forget to check this list with the best free backup, synchronization and cloning programs since backing up your files or even the whole Windows system is not something you can neglect.